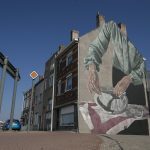 While you discovered some progress images a few days ago, Ricky Lee Gordon has now completed his artwork for the second edition of The Crystal Ship Street Art Festival which took place on the streets of Ostend in Belgium. 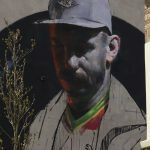 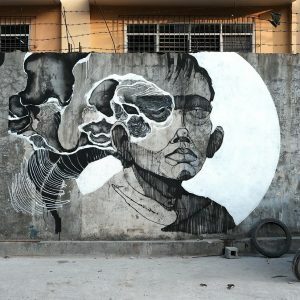 Using his signature technique and style, the South African muralist painted this beautiful and gigantic piece which is an homage to the unknown people that we encounter in life. 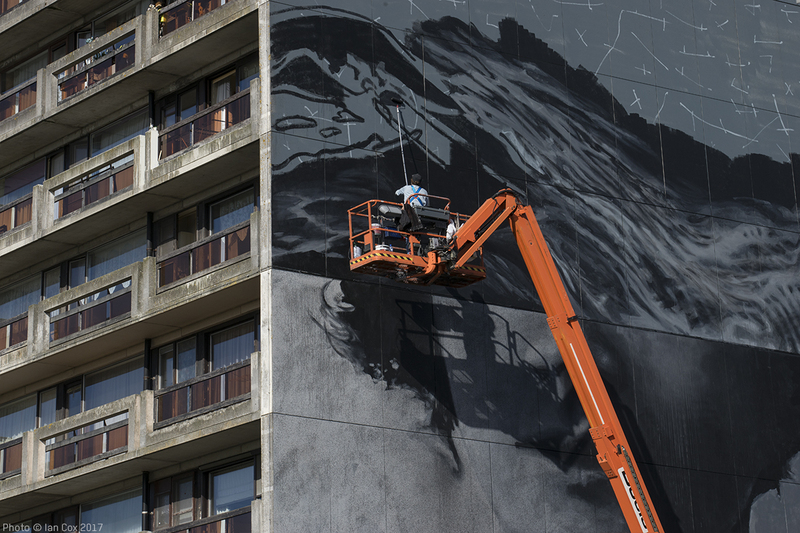 This will surely be enjoyed for years to come by the local residents and tourists alike! 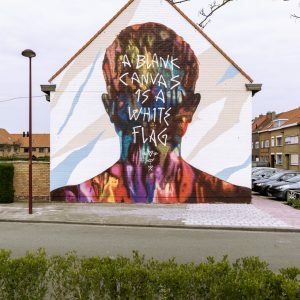 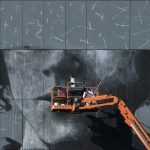 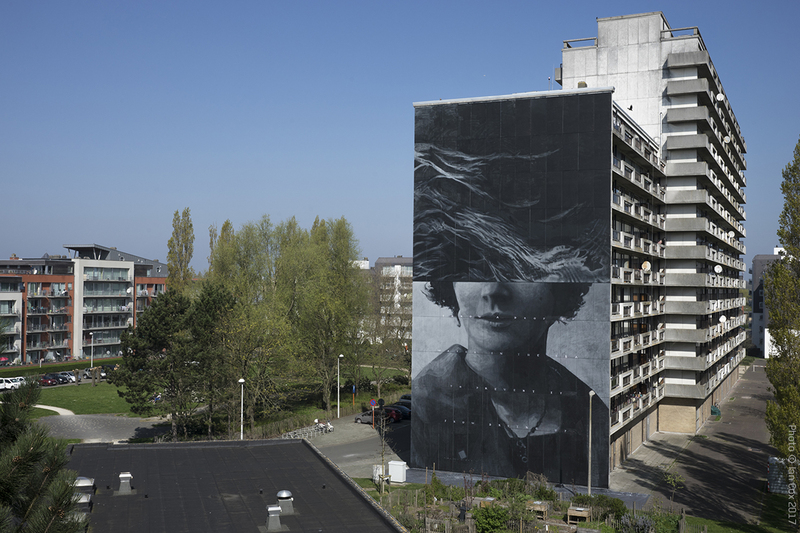 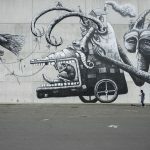 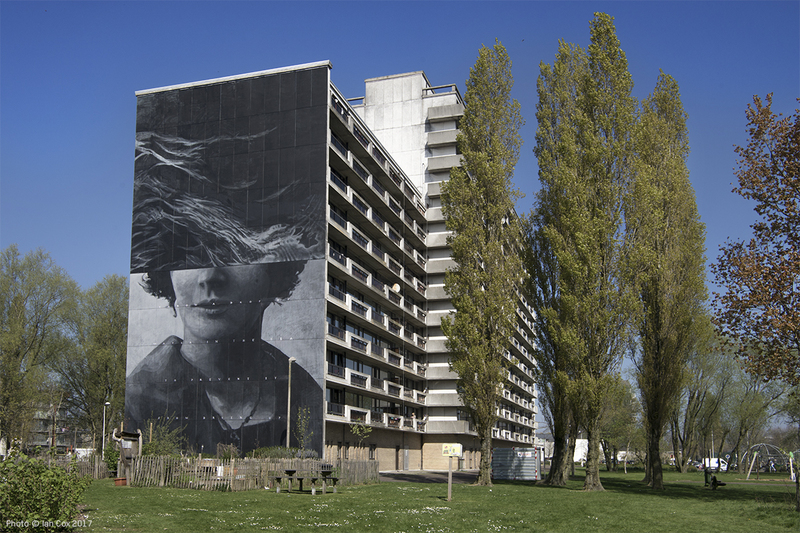 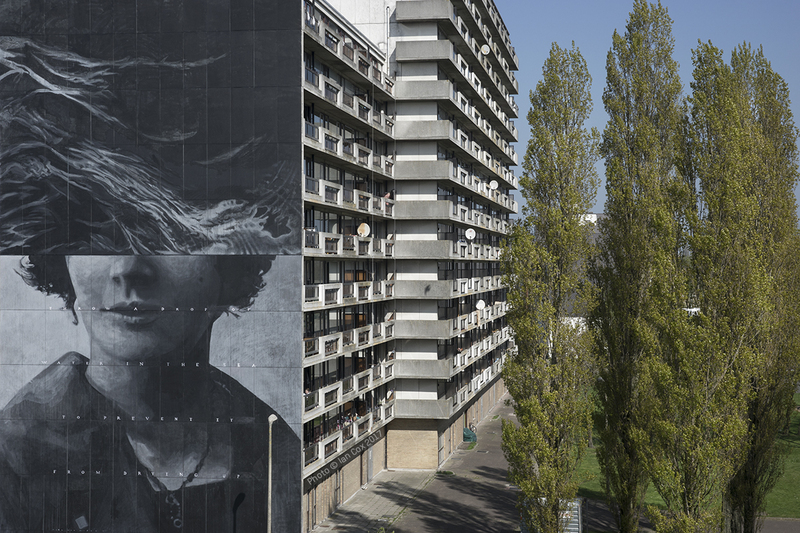 Take a look for below for more images by Ian Cox and keep checking back with us to discover more updates from the streets of Ostend and The Crystal Ship Festival.